Obviously, it was all going to be fine. 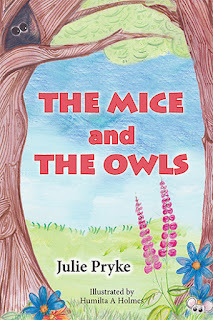 It's a children's book, and while it does turn out OK for owls and mice alike, it was a bit tense at times. This is a lovely short read, no messages or themes, just quirky verse and cute illustrations. I imagine it would be a lot of fun to read this with a group of littlies - lots of interaction and opportunities for discussion about nature. The Mice and The Owls is released today - 8th November, 2018 - and is available in paperback and ebook formats from all the usual places. Julie Pryke is a mum and grandmum. She has been a playgroup and play-scheme leader, worked with youth and community groups; she was also a college lecturer. 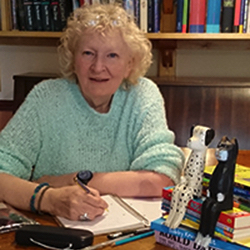 She is a 'born storyteller' and a member of Bradford Writers Circle. She loves reading and encouraging young readers to 'get started'.